The California Department of Public Health (DPH) reported that for the first three months of the 2017-2018 flu season ending Dec. 30, there were 27 people younger than age 65 that died. That was up spectacularly from the one who died during the same period in 2016-2017. California provides weekly public health epidemic tracking through 68 enrolled “Sentinel Providers” (physicians, nurse practitioners, and physician assistants) located in all 58 California counties. All patients suffering a fever above 100° Fahrenheit and with a cough and/or sore throat are laboratory tested for influenza and pneumonia. Of the 41,891 cases tested in California during the first 12 weeks of the 2017-2018 flu year, there were 7,306 that tested positive for influenzas, or 17 percent. But the epidemic is exponentially accelerating. Of the 4,891 cases tested in the flu year’s 12th week ending Dec. 30, there were 2,002, or 41 percent, that tested positive for influenza. 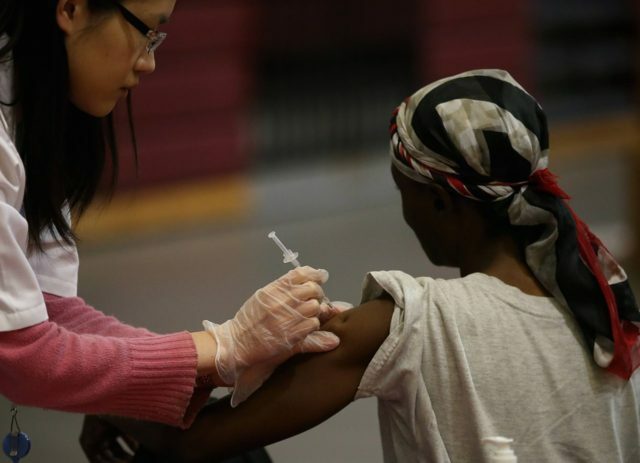 The peak of the flu epidemic is not expected until the second week in February. That means the number of weekly cases are expected to triple, and the peak number of deaths could be substantially higher. Once the epidemic peaks, the number of cases will slowly decline, but the epidemic will last until about August. The U.S. Centers for Disease Control and Prevention (CDC) expects the 2017-2018 flu epidemic will be the most deadly since the 2009-2010 swine flu epidemic, which killed 284,000 people worldwide and 657 Californians. CDC recommends a yearly flu vaccine for everyone six months of age and older as the first and most important step in protecting against this serious disease. Although millions of Californians received a flu vaccination last fall, the broad number of flu variants mean that only about 25 percent of the vaccinated are protected.